Don't be blue, get yours today! ghd's Glacial Blue limited edition collection has arrived! Get yourself a new SMART platinum+ styler ($380) in this gorgeous frosty blue hue. Featuring new ultra-zone with predictive technology, the platinum+ styler constantly adapts the power, recognising the thickness of your hair and the speed you are styling. Your hair glides through the sparkling blue plates, while the rounded barrels and wishbone hinge give you the control to create endless hairstyles, including straight, curls and waves, with ease. Comes with a coordinated heat-resistant roll mat to protect your surfaces and keep your styler safe. 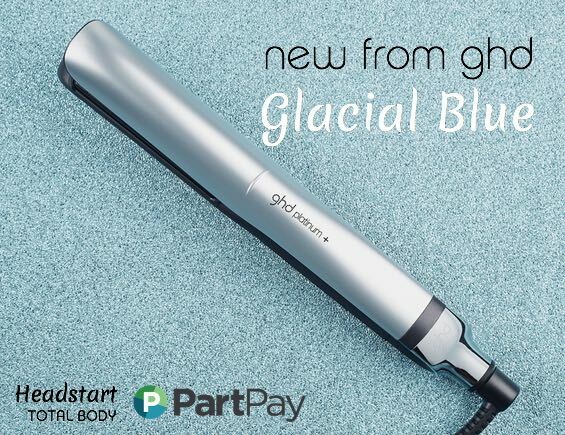 Don't be blue, with the option to use PartPay, this styler could be yours today! A rich, dark spray tan! 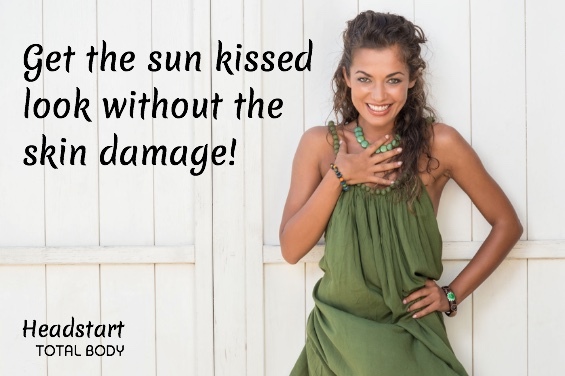 We all love the look of a golden tan but are well aware of the risk of skin damage and premature ageing. Enjoy a safe tan with MoroccanAccelerated, a spray tan that's suitable for all skin types, with a darker, more natural and intense finish. It can be washed off after only 30 minutes, or leave for a maximum of four hours for a deeper, darker tan. With a blend of Organic Argan Oil and a powerful natural probiotic, your skin will be supple, smooth and deeply bronzed! Phone 09 818 5283 to book your MoroccanAccelerated spray tan. Just $50! Look at this gorgeous transformation! Not only does this colour look stunning, but because we used BOND Ultim8 after colouring, our model's hair looks healthier and feels softer. BOND Ultim8 lets you push your colour further and go blonder, by deeply nourishing your hair, preventing breakage and preserving hair fibres. chat to your stylist about what BOND Ultim8 can do for your hair. 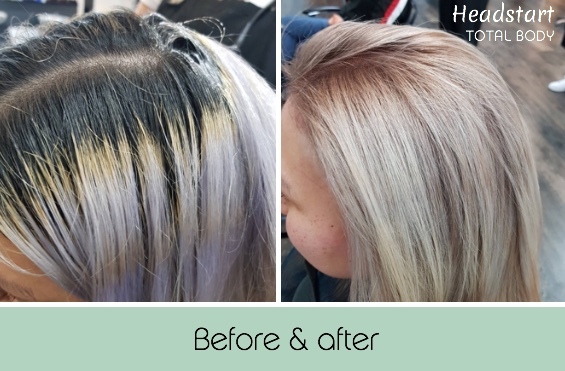 Phone us on 09 818 5283 to book your next colour appointment.